a quick red fox: is everyone hanging out without me? On road trips, when I'm getting bored with music or NPR, I love a good audiobook. I've tried fiction audiobooks, but so far I haven't been able to find any that hold my attention. 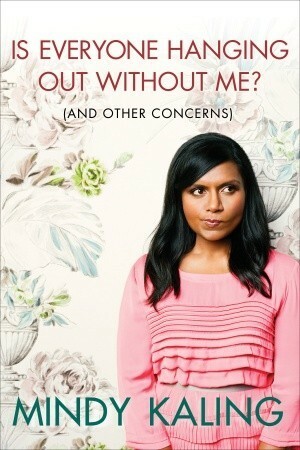 My favorite choices are comedy books and this is my new favorite. Mindy Kaling reads the book herself, adding a great level of realness and rhythm (because having written the jokes, she knows how to best present them). In fact, I picked up the book at Barnes & Noble to get a peek at the pictures (there aren't many but they're worth a look), and found the writing much less humorous without Mindy's voice there to read it aloud. Topics covered include: dealing with chubbiness, awkward childhood friendships, living with friends in NYC, working as a babysitter, how she made it big, The Office, working on SNL, tips for men, Irish exits, photo shoots, favorite comedy sketches, why she won't eat at cupcake shops, etc. Many of the sections are short, but some are your average chapter-length. ALL of them kept my interest and left me wanting more. Seriously, I wish this book were ten times the length so I could listen to a new installment each time I have a 2+ hour drive ahead. It was funny, honest, and unabashed. It felt like I just had a really entertaining friend in the car with me.